The association for the promotion of culture, crafts and arts Tako is an organization located in Fiskars, which aims to promote the position- and appreciation of arts and crafts as well as the know-how in these fields. Remarkable for the Tako association is that the organization owns the Fiskars elementary school´s buildings and rents them to the city of Raseborg. The city of Raseborg organizes the elementary school education as well as preschool and after-school activities. 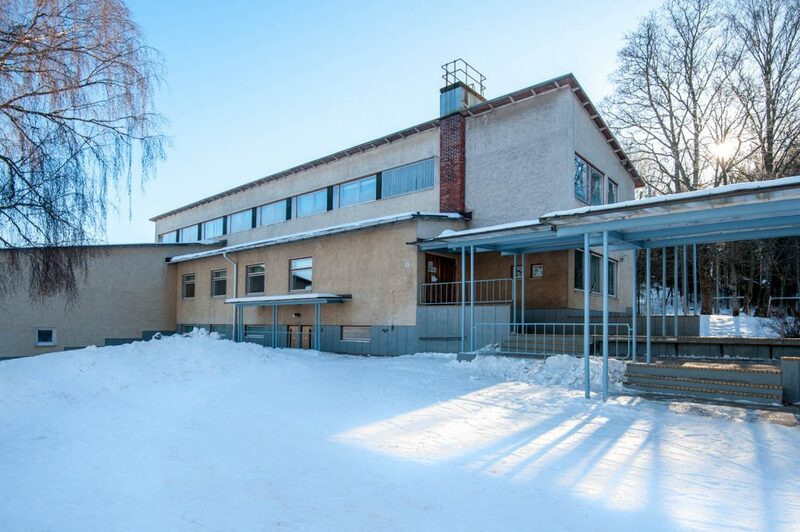 In 2012 the TAKO association bought the old school building next to Fiskars school and in 2015 the association also reclaimed the newer school premises to its ownership. The premises of the old school building, the Tako house has been completely renovated and transformed into versatile teaching- and meeting facilities. The renovation of the newer school building will continue until 2019. The Tako associations main strategic goal and priority is responsible ownership, maintenance and management of the Fiskars School presmises. In 2012 it turned out that the city of Raseborg had to renovate the elementary school building in Fiskars. Due to the difficult economic situation one likely alternative was to close the school. As a result of cooperation with the local Tako association which is oriented towards culture- and course activities and the private Sopfie Von Julin- foundation that is close to the Fiskars corporation the school activities can continue like before. The purpose of the foundation is to support cultural and educational activities in the area amongst other things. Now the foundation wanted to support the acquisition and renovation of the school buildings. The project was carried out so that the city sold the school buildings to the local Tako association. The Tako association is renting out the school premises to the city for the education avtivities. The renovation of the school is carried out by the Tako association with support from the Sophie Von Julin foundation. The maintenance of the property is also partly based on other course- and hobby activities that take place in the school premises. 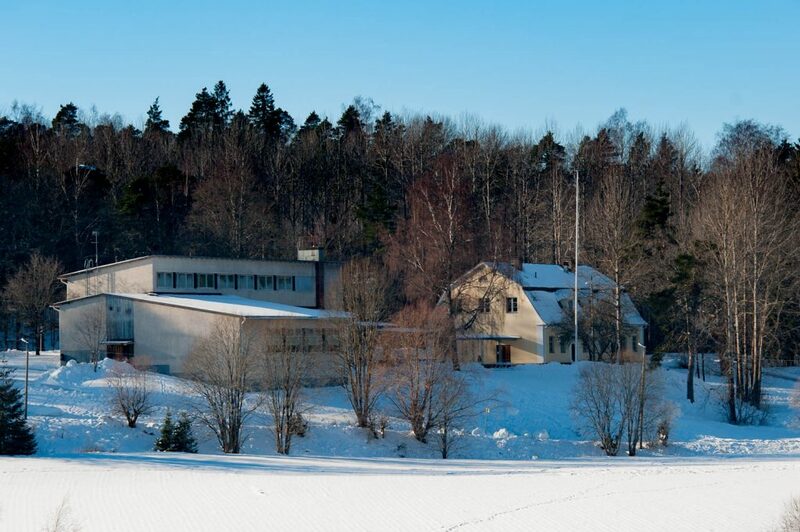 The city of Raseborg was able to preserve Fiskars school by developing a unique cooperation between the private sector and third sector civil society actors. As a result of the cooperation the city committed to keeping the school functioning in the community for the following five years. During this five-year period (2015-2020) the number of pupils is expected to stabilize to a level, that will enable the school to continue its activities even further in the future. The new city plan of Fiskars provides plenty of new properties, that will enable population growth in the area. The intersectional cooperation in this project between the public, private and third sector could function as a model also elsewhere in Finland in order to secure the functioning of schools and maybe also other services in small communities. Local schools are threatened in many regions, but at the same time they are considered crucial for the future development of the local community. In the spring of 2018, the Swedish Cultural Foundation in Finland launched a new, strategic “Hallå” program to search for new language-learning projects. The action-based teaching “Bilingual Learning” project, backed by TAKO; the Association for the Promotion of Culture, Arts and Crafts; was one of the 77 projects that successfully received funding out of a total of 286 applications. The “Bilingual Learning” project will be implemented primarily throughout 2019 and is aimed at primary school pupils in Raseborg. The action-based language learning will take place via workshops on food culture and dance, as well as weekly dance classes. 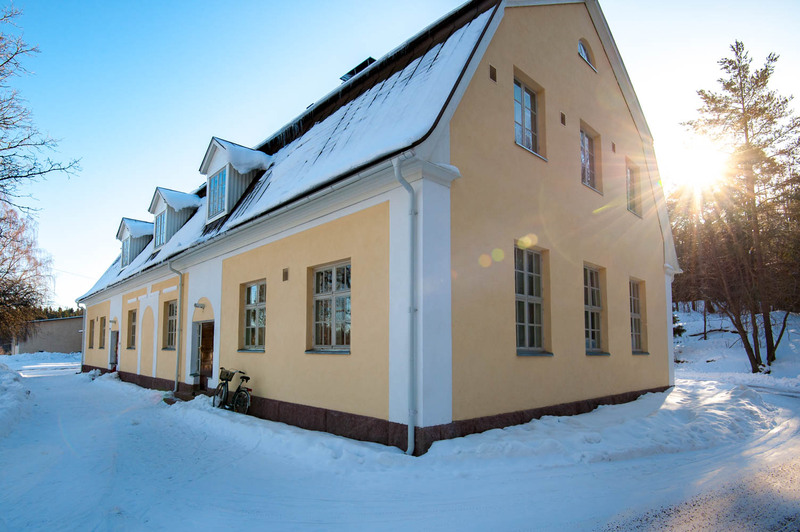 The “Bilingual Learning” project will take place primarily at the TAKO-owned Fiskars School. In charge of the project is Master of Fine Arts, Johanna Hammarberg. The food-culture workshops will take place in collaboration with the Finnish-language Fiskars School, Swedish-language Pohja Village School, and the Helsinki University Faculty of Educational Sciences. The workshops are part of the 2nd grade phenomenon-based learning curriculum for 2019 at the aforementioned schools. The workshops will take the form of meet-ups and school trips a total of eight times. The workshop leaders are local professionals or organisations, each with its own particular approach to food. The tuition in the workshops will be in both Finnish and Swedish as the classes will be mixed rather than separated by language. The food-culture workshops are also part of Helsinki University’s DIDIA research project, which focuses on analysing multilingual environments from the perspective of attitudes and language use. The goal of the research project is to encourage mutual understanding between speakers of different languages as well as improving the language skills of the participants and increasing their interest in language. The weekly dance classes and workshops will take place in collaboration with HurjaPiruetti, a Raseborg dance school providing basic instruction in dance, and Zodiak, a new dance centre in Helsinki. Swedish will be taught during the weekly classes by way of dance and movement by the bilingual dance and acrobatics teachers at HurjaPiruetti. The Swedish-language tuition at Zodiak involves its proprietary TALK method, in which the HurjaPiruetti teachers will receive training as part of the project. The weekly dance classes will take place in the gymnasium in Fiskars School during the pupils’ free time, and they will be available to all primary school pupils in Raseborg. Places in the dance classes will be filled on a first-come first-served basist. As part of the “Bilingual Learning” project, short workshops on dance and food culture will be organised. Details and schedules for the workshops can be found at the top of the page via the “News” tab. The Fiskars model which is used in Fiskars school is based on an enlarged learning environment. The school takes advantage of the opportunities in the local cultural community and the know how of the craftsmen in its education and learning by organizing annual workshop activities. The Fiskars model is a learning collaboration project between Fiskars school and the professionals working in Fiskars crafts-and culture sector. The aim of the project is to utilize the local know-how of the craftsmen, artists and museum professionals as well as the working spaces in the school´s curriculum. The activities are carried out in the form of workshops. A learning model like the Fiskars’ model, that enlarges the learning environment of handcrafts outside the school premises bring more pragmatism, feeling of community and different senses of time to the learning experience compared to the traditional learning experience in the school. The education becomes more multi professional, functional and visualizing. The workshops are realized through the perspective of learning and linked to the local handcrafts culture. The enlarged learning environment broadens the pupil´s world view. Downstairs in the Tako house there are two classrooms as well as one classroom for technical work. The premises are during day time used by Fiskars school. Upstairs in the building there are two rooms, a kitchen and a toilet. The facilities can be used for meetings, teamwork, lectures etc. The facilities are used during school days by the preschool and after-school activities. The Fiskars village association is renting the other apartment upstairs. Activities for children- youth and civil society take place in the premises. The building was used during the last school year as a primary school. In addition to teaching- and classrooms the building has a kitchen, a dining room and a gymnastics space. In 2018 the building will undergo a thorough renovation of the wet rooms as well as a basic renovation. Are you interested in education and local development? Would you like to support the mission of the TAKO-association?